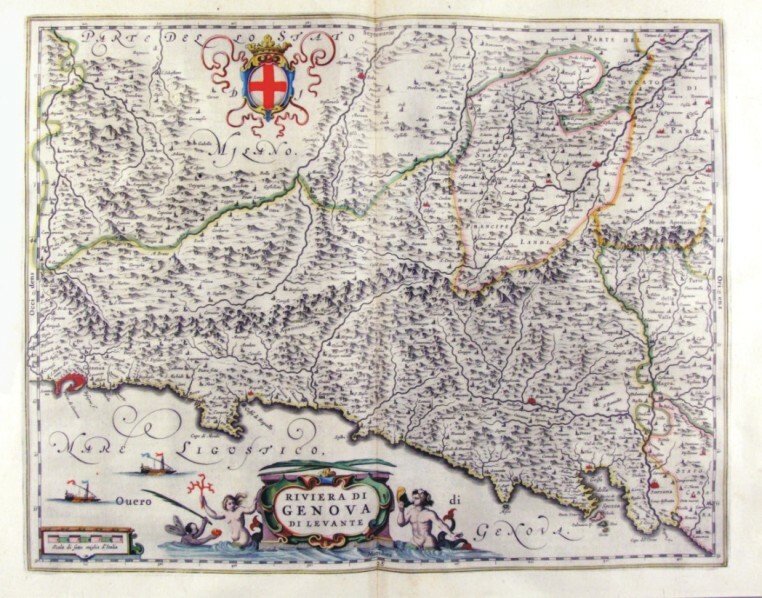 Description: The Charter, that measure cm 49 x 39, is contained in the Atlas Geographiae Blavianae volumen octavum Quo Italy quae est Europae Liber XVI of Blaeu printed in Amsterdam in 1662. Charter graphically pleasing that offers Liguria Eastern from Genoa up in Sarzana. The title is contained in a nice title block adorned by mythological figures. 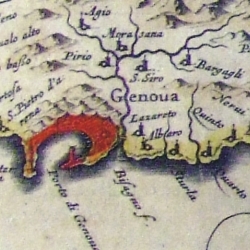 A nice lable top offers the cross of the Republic of Genoa.